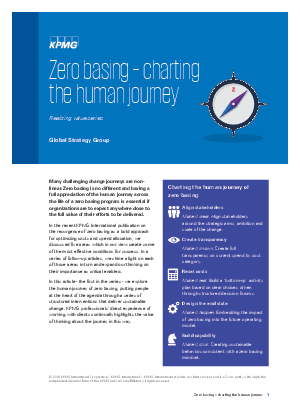 Zero-basing is re-emerging as a bold approach to optimising cost and spend allocation. This paper explains how to create the conditions for success. why emotional intelligence is critical to successful implementation.